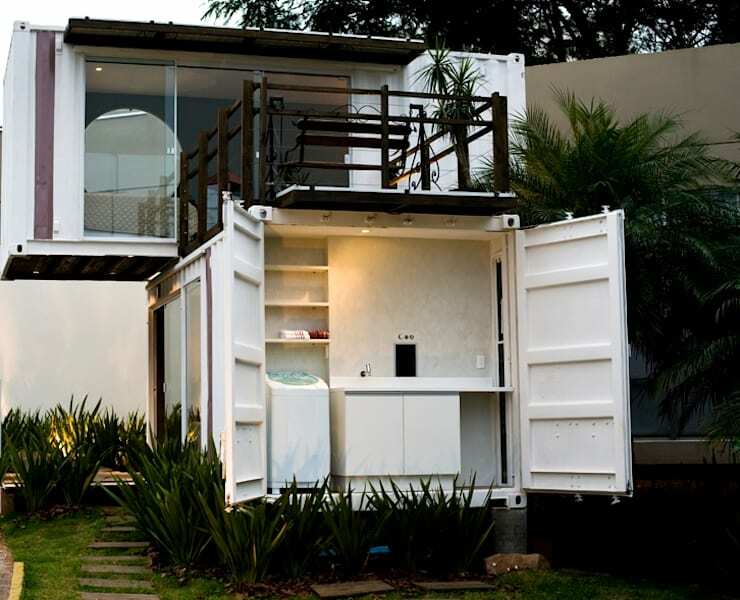 Container homes: the affordable modern solution! It is becoming increasingly difficult to get onto the housing ladder in every country around the world, but we need to see the positive upside of that! The result of house prices increasing is, in the case of some amazingly inspired and talented architects, unusual and cost-effective home designs that will simply blow your mind and today, we are going to showcase a range of container houses. We know what you're thinking, but YES, container homes really can be comfortable and stylish, while still remaining incredible value for money. Of course, a lot of work needs to be carried out, including thorough insulating, noise-proofing and all the comfortable touches that make a space a real home, with windows being essential as well, but once these tasks have been completed, you'd struggle to recognise the inside of an ex-shipping container! With fully functioning kitchens and bathrooms, as well as cosy living spaces, these innovative homes really could be the future of affordable housing, so come with us now and see what people before you have created already! We know you'll be incredibly inspired to buy your own container house! 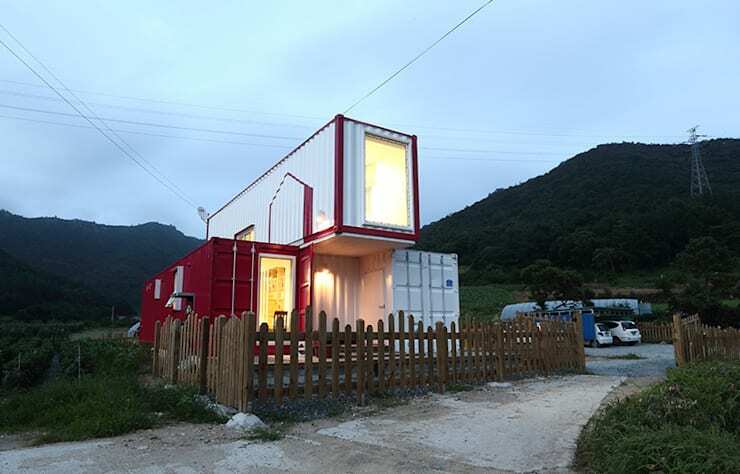 If you were picturing having to live in a single container, a bit like a mobile home, let this red and white success story give you a little extra inspiration! Just look at the way that a second floor has been added, by stacking containers on top of each other! The interior here is a shock as well, with all the comforts you'd expect in any modern home, including wooden flooring and chic furniture. 1. What they start out as. 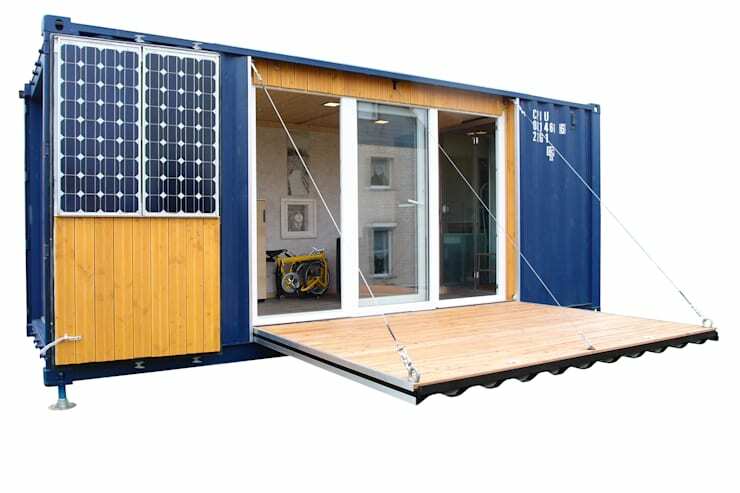 Container house costs can vary greatly, but in general, for a 40-foot (approximately 12 metres) long shipping container, you should expect to pay anywhere between 2000 and 5000 SGD. For the conversion itself, you will likely need to budget between 12,000-16,000 SGD for each container. 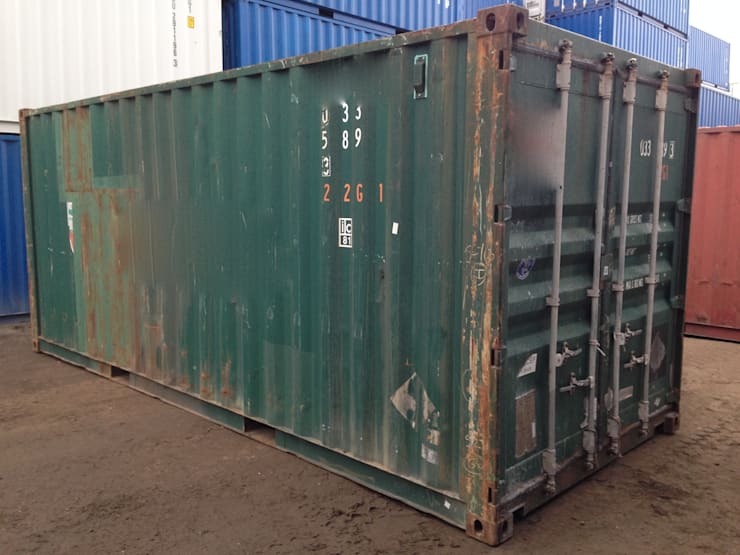 The containers themselves can be a little difficult to come by, but maritime varieties are best, as they are made of corrosion-resistant steel, which offers a perfect basis for a conversion. 3. Tiny but well equipped. Can we take a moment to really appreciate how stunning this home is? It even has an outdoor roof terrace, which leads off from the bedroom! And just look at the way that the laundry area has been built into the rear of one of the containers! You wouldn't believe how stylish the spiral staircase is inside! 4. An amazing micro apartment. We've told you already that living in a container home doesn't mean you have to give up on all those comforts that you're accustomed to and this home is the proof of that! Over 13 square metres here, you will find an open-plan living room and bedroom, a separate bathroom and an integrated workplace. That's not all though, as there is also a terrace! Wow! 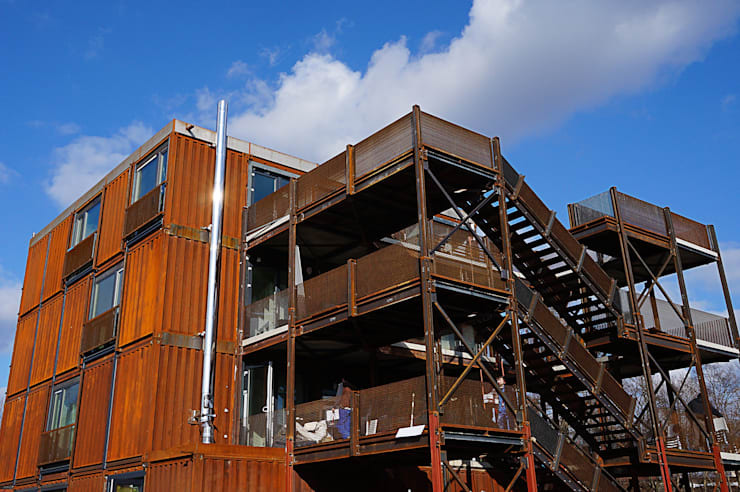 In Treptow-Köpenick, Berlin, this exceptionally special project was created and given the moniker 'The Containerdorf'. Here, students will find affordable, yet beautifully furnished homes that offer comfortable and stylish living. The extra special facet of this project is the use of steel that rusts on the surface, to create a beautifully industrial and artistic facade. Let's imagine that you are intrigued by the idea of a container home, but you're not sure that you can genuinely picture yourself living in one, full-time. That's when a holiday home, such as this gorgeous one, could be the perfect getaway for you! With minimalist decor inside, you can really experience the container home and make a decision as to whether a permanent abode, finished in a similar fashion, could be for you. For more innovative home design, take a look at this article: The Environmentally Friendly Container Home. 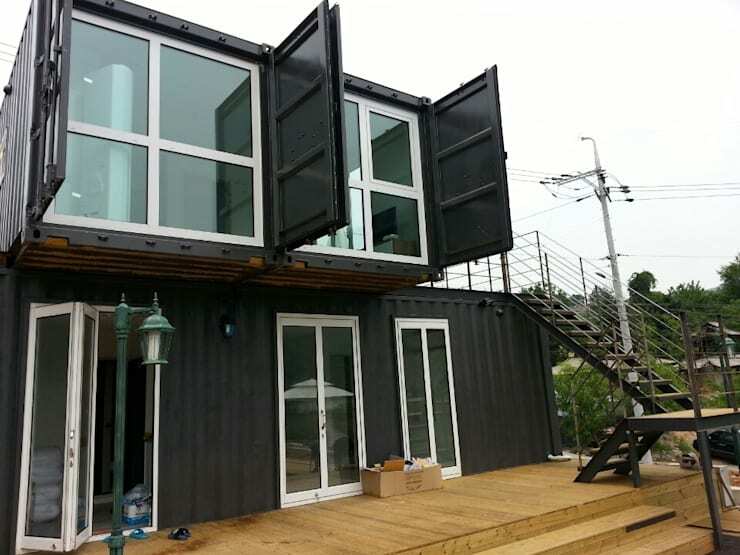 Could a container house be for you?